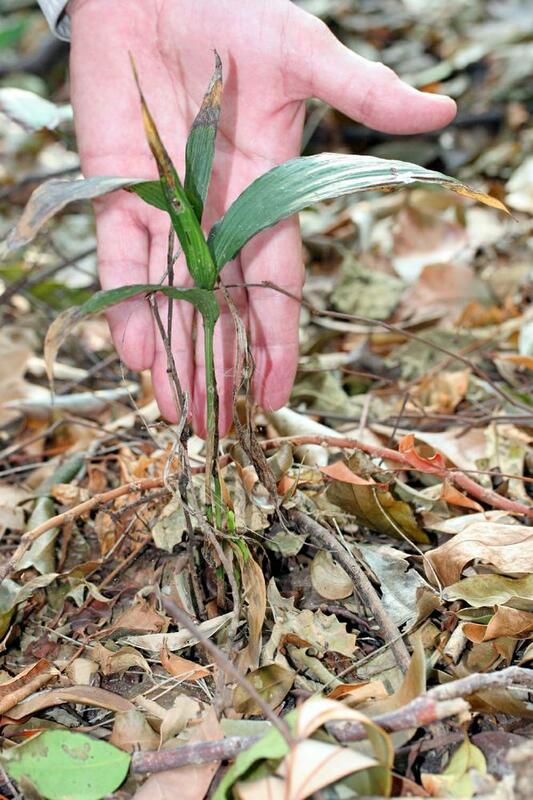 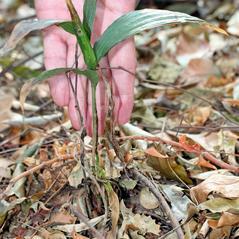 Tropidia polystachya, commonly known as the Young Palm Orchid, is distributed from the tip of Florida south through the West Indies, from Central America, Venezuela, and the Galapagos Islands. 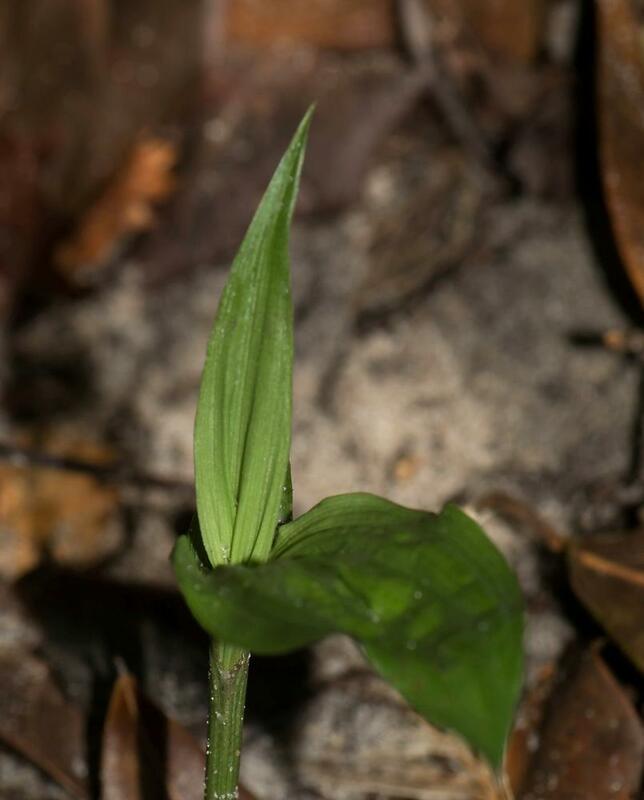 This plant produces 1-5 dark green pleated leaves and the young stems may be partially concealed by bladeless tubular sheaths. 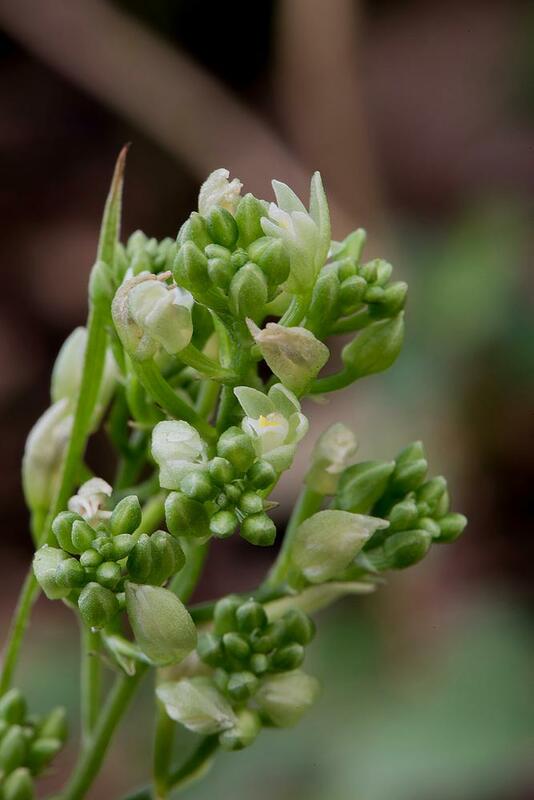 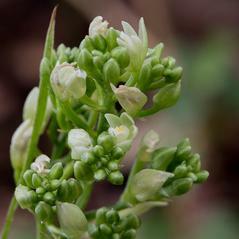 The inflorescence is densely flowered with greenish white partially open flowers arranged in a terminal panicle. 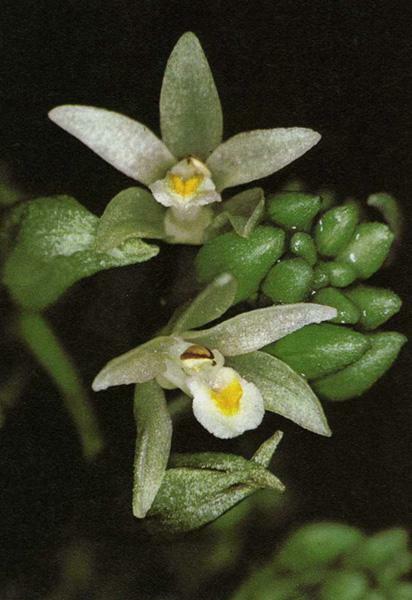 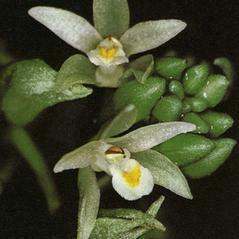 The labellum is white with a bright yellow disc in the central portion. 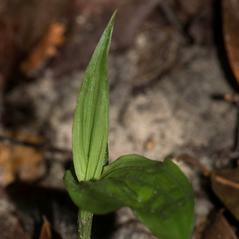 This orchid blooms in late September through October in deeply shaded, moist hardwood, limestone hammocks. 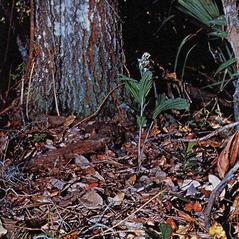 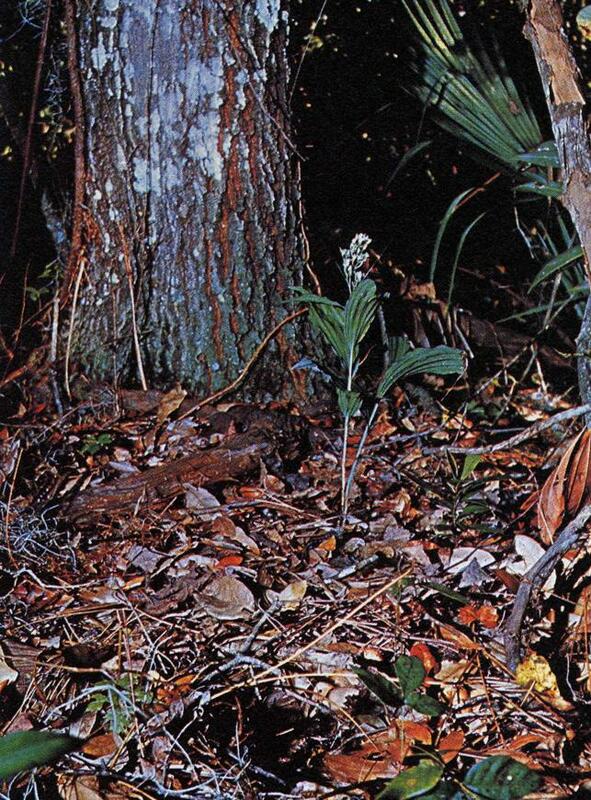 Tropidia polystachya is apparently secure based on its wide distribution in the New World tropics, however, it is extremely rare and endangered in Florida.